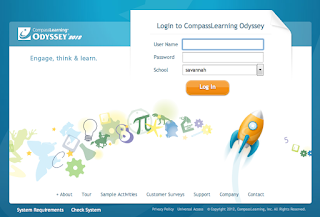 Compass Learning is an important weekly math requirement. Don't forget to complete at least ONE Compass Learning choice by Friday of each week. This can be done in class during your worktime or at home for homework. The Compass Learning program is linked to your MAP assessment results, so it knows your strengths and needs and will give you appropriate assignments to complete. It is also a great way to keep brushed-up on topics we haven't discussed in a while. Please see me if you forget your username or password.